Department of Anatomy is responsible for teaching pre-clinical students. 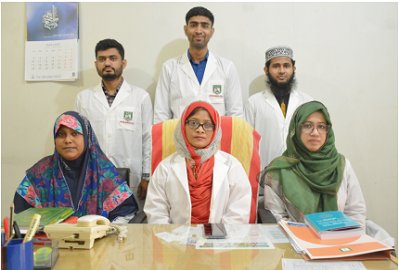 The department covers various aspects of anatomy namely gross anatomy, embryology, neuroanatomy, histology, radiological anatomy and living anatomy providing special emphasis on general, applied and functional areas. Three academic term cater for 650 hours. Out of which lecture 115 hours, 53 hours for tutorial, 52 hours for practical and 310 hours for dissection. Additional 30 hours for integrated teaching. 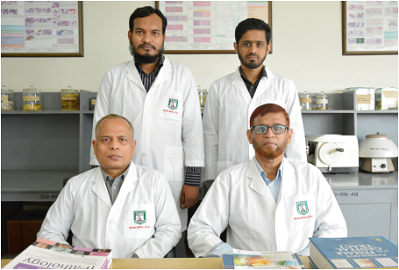 Prof. Dr. Muhammad Habibur Rahman MBBS, MPH, M.Phil Professor & HOD. Department of Physiology is responsible for teaching the subject during first one and half year in three terms of MBBS course. The main objective of the department is to teach medical students about normal function of human body, explanation of normal reactions to environment and homeostatic mechanisms, basis of genetic behavior activities and explanation of normal reproductive process. At the end of the course the students will be able to understand abnormal function and structure of human body. Total allocation of teaching hours for the subject for each course is 340 hours. Of those, 120 hours are for lectures, 120 hours for tutorial and 120 hours for practical. Additional 30 hours is allocated for integrated teaching. The subject of Biochemistry deals with chemistry of life. Biochemistry help to understand the hidden interactive of health and effective treatment of diseases. 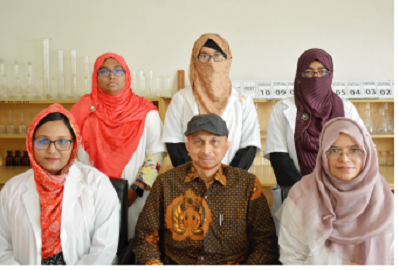 The department is organized to teach students about the basic process of chemical principles, performing & interpreting laboratory tests, procedures and requisite knowledge for higher studies and research. The teaching methodology involves theoretical lectures, tutorials and practical demonstrations. The allocation for lecture is 120 hours, for tutorial 100 hours and for practical 100 hours. Additional 30 hours is allocated for integrated teaching. 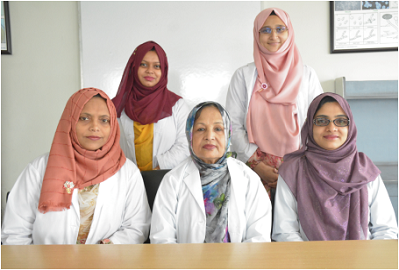 Department of Community Medicine is designed only in new curriculum for 3rd year. However, behavioral science, communication skills and medical ethics will be taught by 5 lectures. The objective of this course is to provide community-oriented medical education. So to produce good young doctors dedicated in primary health care to fulfill the HNPSP and MDG goals of the government. The course comprises with 110 hours of lectures, 160 tutorials and 30 days of community based medical education (COME) that includes day visit, RFST and study tour (10 days for each). Study tour & Day-visit will cover places like Cox's Bazar / Kuakata, Saint Martin's Island, seaport health (Chittagong and/or Mongla), Chandraghona paper mill, Sylhet tea garden and/or Jaflong, Health organizations in Dhaka city, Mental Hospital, Pabna etc. 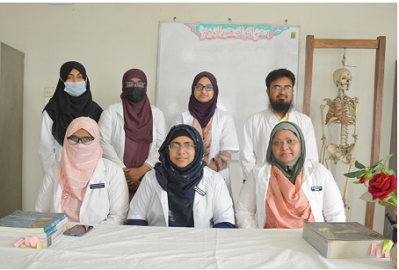 Department of Forensic Medicine offers training to the medical students of 2nd phase (3rd year) and to promote application of knowledge of medico-legal aspects. At the end of the course, the undergraduate students will be able to diagnose, apply principles of therapy & understand medico-legal implications of common poisons & also apply general principles of analytical, environmental, occupational and preventive aspects of toxicology. Total allocation of teaching hours for the subject is 195 hours of which 80 hours for lectures, 55 hours for tutorial and 55 hours for practical. Another 5 hours of integrated teaching will be provided. The Department of Pathology offers teaching of the undergraduate students of 3rd phase (4th year). 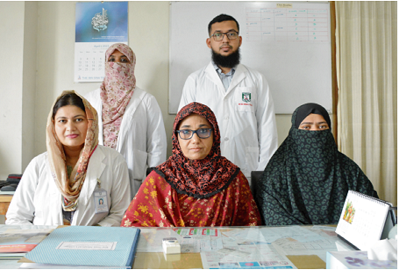 The main goal of pathology to the medical students is to provide comprehensive knowledge of the cause mechanism of disease, morphologic changes and correlate between clinical and laboratory findings with the emphasis on common diseases prevalent in Bangladesh. Total allocation of teaching hours for the subject is 228 hours, out of which 100 hours for lecture, 100 hours for tutorial, 28 hours for practical classes. The Department of Microbiology is involved in teaching of 4th year medical students (3rd phase). The main objective of the department is to acquaint the medical students with the etiology of microbial diseases, their pathogenesis, immunological responses involved and important clinical features that would enable them to plan and interpret necessary laboratory investigations for diagnosis, treatment and prevention. Total allocation of teaching hours for microbiology is 100 hours for lecture, 45 hours practical and 45 hours tutorial. Department of Pharmacology and Therapeutics offers teaching to the medical students of 3rd phase (4th year). Pharmacology is a lively scientific discipline in its own right, with an importance beyond that of providing a basis for the use of drugs in therapy. Pharmacology has its roots in therapeutics, where the aim is to ameliorate the effects of disease. So we attempted that the students will be able to make the link between effects at the molecular and cellular level and the range of beneficial and adverse effects that human experience, when drugs are used for therapeutic of other reasons. Therapeutic agents have a high rate of obsolescence and new ones appear each year. So hopefully the students will enjoy the subject. Total allocation of time for this subject is 200 hours. Out of which 100 hours for lecturer; 30 hours for tutorial classes; 50 hours for practical demonstrations and rest 20 hours for clinical Pharmacology.